While we have dozens of hard working farmers and farm hands between all of our farms we do have a few faces you've likely seen or will see around. This is our CSA team that helps ensure that you get your share each week and that your CSA experience is best possible! 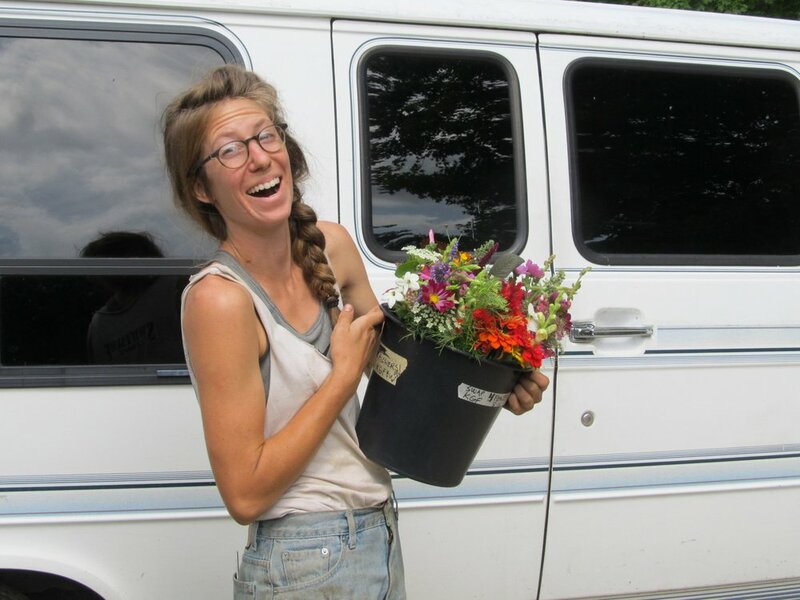 Sarah joined Local Harvest CSA after moving to New Hampshire through WWOOF (World Wide Opportunities on Organic Farms). You've likely seen Sarah's artistic expression on our website, brochures, newsletters, and tote bags. Sarah is often behind the newsletters and the nitty gritty business side of the CSA. While there is an entire board of farmers helping the CSA operate, there is only one Sarah. When Sarah isn't tending to CSA tasks she farms at Kearsarge Gore Farm in Warner and is a cooperative owner of Warner Public Market. Derek is our one of our go-to people! He is quick to make deliveries and help out when things don't go according to plan, for instance, traffic. When Derek isn't tending to LH CSA needs, he is a full time farmer at Kearsarge Gore Farm so please ask him any questions you have about upcoming crops or updates on the farms. He is also a reigning champ at trivia night in his town. Don't challenge Derek!